Created by Steve Levinson (Entourage,Boardwalk Empire),Ballers is an all-new HBO comedy that explores the sun-soaked world of a group of past and present football players in and around Miami,FL. 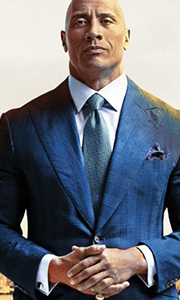 Leading the pack is Spencer (Dwayne "The Rock" Johnson),a retired football superstar who is trying to find a foothold as a financial manager to current players. In an industry where the career span is unbelievably short,Spencer and his crew must..
Own Ballers Season 2 DVD from Deff, DVD, Blu-Ray & 4K Video Specialists - Free UK Delivery.. Retired NFL players and former teammates with the Miami Dolphins Spencer Strasmore (Johnson) and Charles Greane (Omar Benson Miller) struggle to adapt to life after football. Spencer takes up a job as a financial manager for NFL players, while Charles starts working at a car dealership and begins to wonder whether he chose to retire too early. In this season, Spencer looks to expand his business by venturing into the world of extreme sp..
Own Ballers Season 2 Blu-Ray from Deff, DVD, Blu-Ray & 4K Video Specialists - Free UK Delivery..